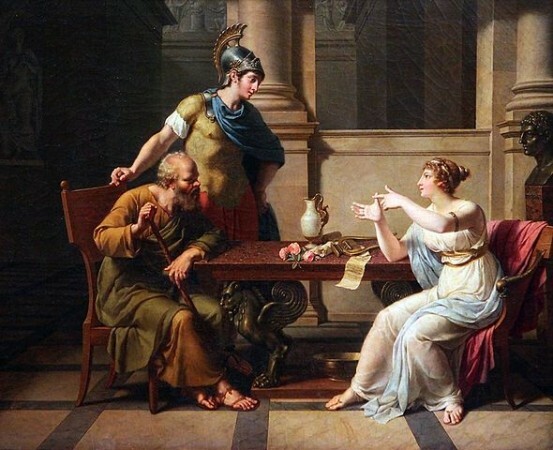 “Debate of Socrates and Aspasia,” Nicolas-Andre Monsiau, c. 1800, Wikimedia photo,. Island life temptations. lamentable shortcomings. Daily lives devoted to family, labours, prayers. Wisdom, guiding knowledge inscribed thereon. Set to wheat fields, island harvests destroyed. To everyone and to no one,” I, Cosimia, replied. Island perfection beyond hope abandoned. Rites, burnt offerings, animal sacrifice. Sailed, cerulean seas neath billowing clouds. Into bays, wind dispersed darkening beast. 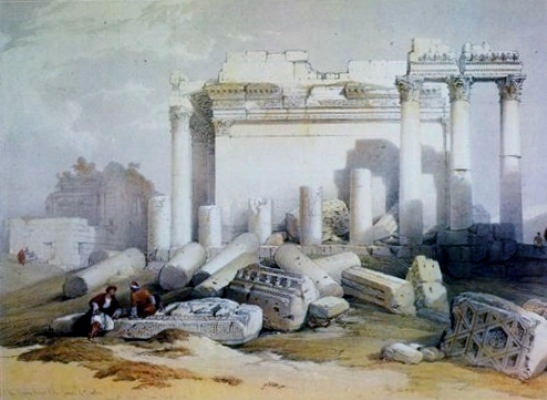 “Portion of Eastern Portico,” David Roberts, WikiArt photo. 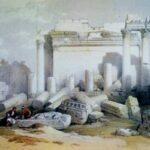 Learnt as priestess of Kerkyra.